Home > News & Events > Take a “Leap of Faith” for the homeless! Donate to “Leap of Faith” by clicking here. Our campaign is at $17,325! “Leap of Faith” was a matching fund campaign that PEACE Lutheran Church launched on Leap Day, Monday, Feb. 29, 2016. Our goal: Raise $10,000 to help our homeless brothers and sisters at Hospitality House and the Salvation Army’s Booth Family Center, both in the Grass Valley area. 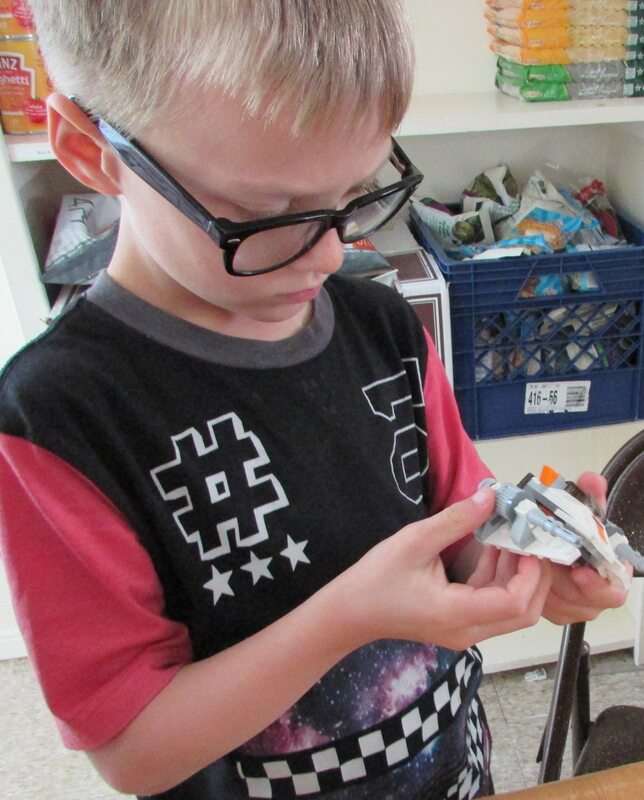 Athan Kerr, 8, loves the challenge of Legos. His life has stabilized, thanks to the Salvation Army’s Booth Family Center. The generous people of western Nevada County blew past that goal to contribute $17,325 in just five weeks! The campaign started when PEACE had granted $10,000 to these two organizations, and challenged them and the community to double that gift of love. Our results show what faith, prayer and hard work can achieve! With the grant from PEACE, made possible by the generosity of the late Lee Renz, we will give $26,275 to the Salvation Army’s Booth Family Center and Hospitality House. Thank you so much for your prayers and encouragement during this campaign! Learn more about the men, women and children whose lives are stabilizing, and in many cases blossoming, thanks to the services offered by the Booth Family Center and Hospitality House. People like Aaron Campbell. After being homeless for seven years – a victim of the terrible recession of 2008 and corporate downsizing – Aaron has moved into an apartment with his two small children, with help from the Booth Family Center. Click here to read about Aaron, Ryker and Lanaya Campbell. People like Tony Beverly. Tony had it all: a good job, a middle-class life, great family – and a compulsion for gambling. 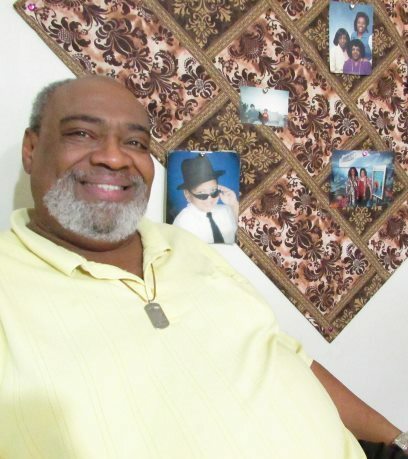 When his world fell apart, Hospitality House helped him put it back together. Click here to read more about Tony Beverly. People like Alexis Nulty. The athletic 5th-grader is thriving in school, thanks to the stability provided, first by Hospitality House, and later at the Booth Family Center. Click here to read more about Alexis and the Nulty-Kerr family. 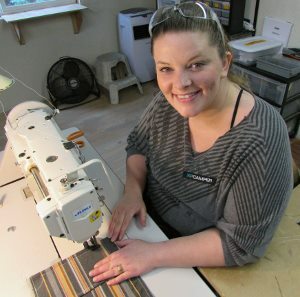 Kayla Sylva, 28, is training to stitch cushions for high-quality campers built by hand at XP Camper, a Grass Valley manufacturer that exports all over the world. The “Leap of Faith” matching fund drive, sponsored by PEACE Lutheran Church, supports the local services that helped Sylva move from chaos to stability. People like Keith McDermid & Kayla Sylva. This married couple has fought their way out of addictions to heroin, methamphetamine and alcohol to find full-time jobs and hope for the future, after Hospitality House helped Keith dry out and found them a place to live. Check here to read more about Keith & Kayla. People like Kelly Mongiardo. Kelly worked her way through college, raised her son alone and worked on ground-breaking HIV/AIDS research — but she never expected to be homeless. Domestic violence changed that — but after she left, Hospitality House helped Kelly get back on her feet. The people and families profiled in our “Leap of Faith” series continue to move forward in their lives, thanks in part to the stability and support they found with Hospitality House and the Salvation Army’s Booth Family Center. Here’s an update. This fundraiser was made possible by the generous gift that member Lee Renz made to PEACE Lutheran Church when she died in 2014. Following the long-time tradition of God’s faithful people, PEACE leaders decided to give back, for God’s good work in the world, a portion of Lee’s gift of love. 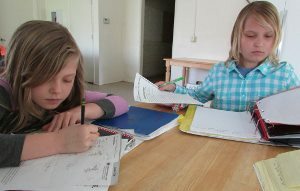 Sisters Aylissa Kerr, left, and Alexis Nulty are thriving at school, with help from the stability offered at the Salvation Army’s Booth Family Center. Donate to “Leap of Faith” to help more children like them! PEACE’s church council voted, in 2015, to grant $10,000 from Lee’s bequest to the Salvation Army’s Booth Family Center and Hospitality House. Both organizations help homeless people in western Nevada County who have made a commitment to sobriety and to getting themselves back on their feet. Efforts like this matching fund drive are more important than ever! Homeless populations have exploded in the wake of the recession, and some cities have declared states of emergency to get federal money to deal with the problem. California legislators have responded by creating new funding guidelines that shift federal money for nonprofits from rural areas, like western Nevada County, to urban centers. That leaves a $276,000 shortfall for the Booth Family Center and Hospitality House for fiscal 2016-17. Click here to read more about the funding challenges faced by the Booth Family Center and Hospitality House. At PEACE Lutheran Church, we believe God calls us to help the most vulnerable people in our society. Jesus – God manifest in human form – told his followers to “feed my lambs.” He preached that we are all brothers and sisters, and all of us are God’s children. 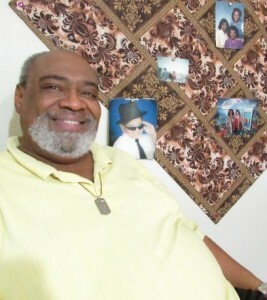 Tony Beverly, 60, has a safe and stable place to rebuild his life, which was broken by family losses and a gambling addiction. Thanks to help from Hospitality House, Tony is no longer homeless. To follow that call, PEACE has been active in supporting Hospitality House since it began in 2005. PEACE also has supported the Salvation Army’s Booth Family Center in many ways over the years. Click here to read more about PEACE’s work in our community. Thank you for taking the leap with us! For people struggling on the road from chaos to stability, reaching out for sobriety or a “normal” life can be a leap of faith. Sometimes for us, believing that people can change their lives also is a leap of faith. God assures us that, if we trust in Him, he will leap with us. We welcome all who would take a leap of faith to help our homeless brothers and sisters! PEACE sends a heartfelt “thank you!” to everyone who dared to take a leap with us! One hundred percent of the proceeds (after a small fee for online donations) will benefit Hospitality House and the Salvation Army’s Booth Family Center, whose work we see as being the face of Christ to our homeless neighbors! Learn more about PEACE in our community. Learn more about worship at PEACE.